To a lot of people, their vehicle is one of the most valuable assets they own. Therefore, selling it is a matter that requires careful consideration. Sure, a lot of people believe that every model has its price and that there’s not much you can do about it, but you would be surprised just how picky people get when choosing a vehicle. A tiny misstep might make your job of selling your car much more complicated, while a simple hack might significantly boost its price. So, here are five most valuable considerations you have to make when selling your car. Preparing the vehicle is incredibly important. However, it’s also the part that some people get all wrong. Sure, painting the vehicle, polishing it and cleaning it thoroughly will make it more presentable and, therefore, boost the price, but fixing it might not bring positive ROI. Think about it, if you invest $1,000 to repair your car, you aren’t likely to get all of that money back. In the best-case scenario, you will boost the price of your car by $500-$800, which yields a negative ROI. In other words, fixes, especially the expensive ones, are only worth it when you intend to keep the car. If we’re talking about an old-timer that you restored on your own, you also need to take your own effort into consideration. Nowadays, people buy vehicles through online platforms, which means that they have more options than ever before. In other words, they don’t have the time to go into details with every car that catches their eye. 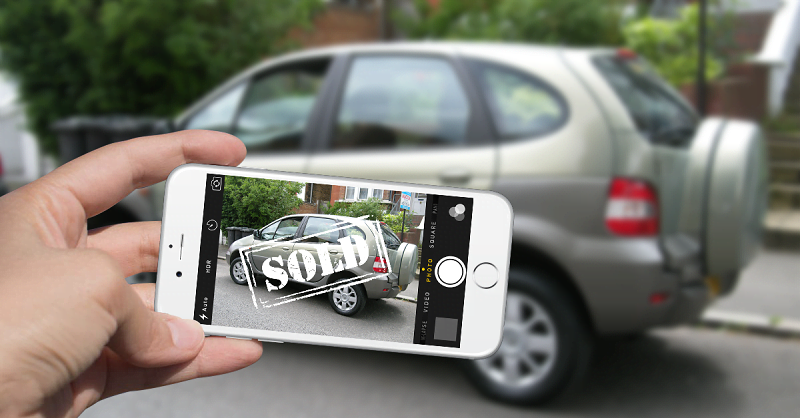 In fact, they are far more likely to simply browse through dozens of offers, only looking at the price and the photos of the vehicle. With this in mind, if you don’t know how to make your vehicle presentable for a photo session or if you’re working with a low-quality camera, you might lose the deal. In order to prevent this from happening, you might even want to hire a professional. Earlier on, we mentioned online platforms that allow you to sell your car fast. These platforms don’t just save time but effort, as well. All you have to do is select various categories for your vehicle (make, model, year model, engine size, odometer and color) and then proceed to go into more specific details about the vehicle. Needless to say, all of this can be done in under 5 minutes. Moreover, these platforms also give you an opportunity to do some research on options similar to yours and, in this way, ensure that your price is competitive. One of the things you absolutely have to be prepared for is the fact that you’ll have to negotiate. Almost everyone interested in your car will try to see if they can lower the price at least a bit and refusing to budge might be shown as a lack of respect or even interest on your part. Therefore, it is much safer to start with a bit higher price early on and then (seemingly) lower it to “accommodate” the buyer. Finally, as we already stated, there are so many vehicles out there and, unless you want to ridiculously underprice your vehicle, you will have to find a way to make your offer a bit more appealing. Here, we’re talking about making the pitch. Pick that single feature you believe is your vehicle’s strong point and try to emphasize it as much as possible. This may sound easy, but you would be surprised just how efficient this can actually be. When it comes to selling a vehicle (or any asset for that matter), the ROI is your number one priority. In other words, you should try to get as much money as you can, with as little investment as possible. Of course, you might have some sentimental attachment to your vehicle, yet, you can’t allow emotions to get in the way. Unless you intend on keeping the vehicle, you need to learn how to look at the car in question as an asset. It really is that simple. Amazing read. Thanks for sharing this info.